3M Controller Board - Paragon Innovations, Inc. 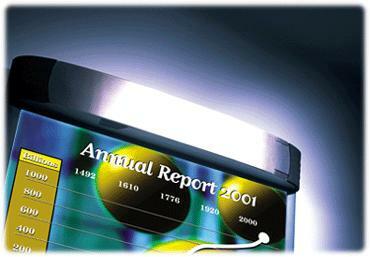 Since 1960, 3M has sought to make meetings and presentations easier, better and more productive. 3M continually offers innovative products and provides resources that will instruct and aid each presenter with the tools necessary to be successful. From electronic projection equipment to overhead projectors, transparency film, digital projectors and the innovative Micro Professional Projector, 3M has the widest selection of presentation products and accessories in the world. The Visual Systems Division of 3M retained Paragon Innovations to produce a new Display Controller Board (DCB) for its state-of-the-art video wall display product. After a disappointing experience with the efforts of a German engineering firm, Paragon was a natural choice for 3M since Paragon had completed the successful design of an Expansion Control Board that also would be integrated with the new product. The new 3M DCB project represented a high-stakes opportunity for Paragon. The board was part of a digital wall display that was expected to become a premier product for 3M. Paragon was challenged to design and produce a prototype in an incredibly expedited timeline so that it could be showcased at a major industry show less than four months away. Paragon’s team interviewed 17 3M managers and technicians, a key step in helping develop a turnkey solution and accelerating the product’s time to market. As a result, 3M received a prototype that not only met the company’s high expectations for quality and innovation, but did so within an extremely difficult timeline. Paragon assumed design control in mid-stream to produce a top-quality prototype in 16 weeks. Exceeded 3M’s high standards of quality and innovation. Achieved integration with 3M’s Expansion Controller Board. With the DCB at its core, the 3M Digital Wall Display became one of the stars of InfoComm. ... (Paragon has) a staff of trained and disciplined engineers able to take this kind of project on. They have a rigorous design philosophy, and that was really a critical piece for us.